There have been many steps in the evolution of heating and cooling your home over the years. While it may be hard for some to believe, there was a point when no homes had air conditioning, it’s one of the absolute greatest inventions in all of humanity. The ability to heat and cool our homes has made it so that we can comfortably live instead of being such a slave to the elements. As time has crept forward we’ve seen innovation after innovation, and we’ve seen a massive expansion to where virtually every home that’s built. Even if it’s in the form of just a window unit, you have the option and opportunity to enjoy a heated or cooled home depending on the season. The latest step has come along in the form of ductless heating and cooling systems from a company that many of us typically associate with automobiles. 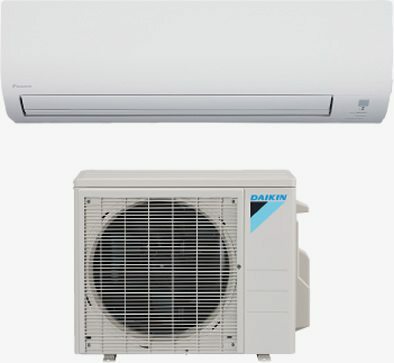 Daikin Ductless has been around for quite some time and as stated before they’re primarily known for their prowess in the heating and air conditioning of homes. As impressive as their systems have been through the years the ductless heating and cooling system they’ve created is possibly their greatest achievement as a company. Right away you’re probably wondering what could be so great about a ductless air unit versus one that has ducts, the most obvious answer being less maintenance of the system. When you can eliminate ducts falling apart or contaminants gathering in the system, you’ve taken out possibly the biggest problem that could arise from a system featuring regular ducts. The one constant over the years has been air filters that get higher and higher ratings in allergen depletion, with the new Daikin ductless system you get built in allergen filtration without having to hassle with changing out filters every 30-90 days. Another great benefit from going ductless is probably the most important part of anything you can do to your home these days, energy efficiency has become the top priority when making any changes in the household and when they designed this system Daikin Ductless made absolutely certain that it met the same standards that we demand as consumers. Having the option to heat or cool any room as you need it instead of burning energy trying to control the temperature in every single room of the home at one time. Lastly, the Daikin system isn’t just about cooling the house, it’s also sporting a heat pump, which comes in handy for anyone in a cooler climate, especially locations in the Pacific northwest. Featuring the Hyper-Heating Inverter Technology setup, a system that can evenly heat rooms in temperatures as low as -20 degrees Fahrenheit. If you’re living in the Pacific northwest you’re no stranger to extreme cold, as a result you always need to make sure to keep your home warm. 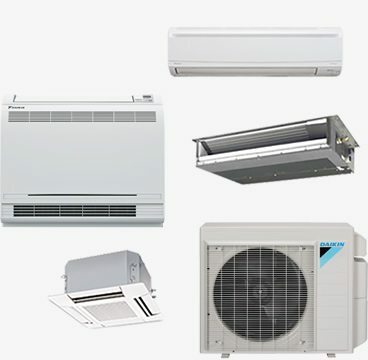 The leader in heating and air conditioning in Bremerton, Gig Harbor, Bainbridge Island, WA is Burdick Heating specializing in Ductless Heating, specializing in the Daikin unit, making them the clear choice to contact whenever you’re ready looking to get your home up and running. Burdick Heating takes care of replacement as well as installing new systems in your home, nobody in the area can do a better job. Looking take a leap into the new generation? Call Burdick Heating today and schedule an appointment to have them take care of your home. Customer service is their passion, and they’ll do whatever it takes me make sure you’re satisfied. Reach out to Burdick Heating today, trust me, you won’t be disappointed.